As longtime readers of the site are already aware, I'm a big fan of DJ Swindle. A couple of years ago, he put out perhaps the greatest mash up album ever, Bobb Deep, mashing Bob Marley with Mobb Deep. Earlier this year, he followed it up with 80 Cent, blending classic 80's beats with vocals from 50 Cent. You can download the rest of the album here. 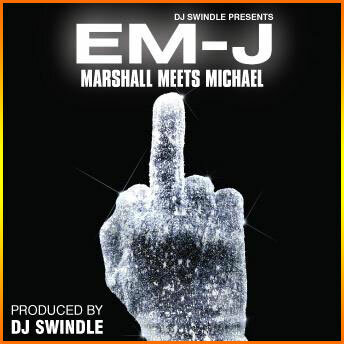 View the myspace page for the Em-J project here.